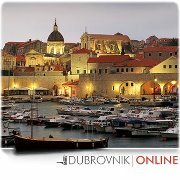 I am travelling with my mother to Dubrovnik for four days in August and wanted to know if we could do a one day trip to Medjugorje on the 13th or 14th of august. We do not want to take the local bus as it means staying over night and we already have accommodation booked in dubrovnik. We don't mind spending a little bit extra but I don't want to pay a fortune!!! Who is Mr Nikola? is he a friend or a random person you met? Did anyone recommend him? and how much did it cost you? One option is to join one of the regular tours that leave from Dubrovnik to Međugorje. More information about the excursions from Dubrovnik to Međugorje for season 2014 will be available soon.